Tag Archive | "Cathay Bank"
Multi currency US banks are hard to find. The US dollar has revived in the past few weeks. Fundamentals (debt, trade balance and low interest rate compared to inflation) suggest that this makes the current strength of the greenback a useful tool to diversify into other currencies. Yet it is hard to walk into your local bank and open an account except in greenbacks. This is a problem everywhere in the US. Most US banks that offer an FDIC guarantee do not offer non dollar accounts. However one FDIC insured bank that does is Cathay Bank. This bank has Hong Kong roots and began in 1962, to serve the Chinese-American community in the greater Los Angeles area. However they adopted the motto “An Open Door for All” and have expanded rapidly. Cathay Bank is part of a publicly traded financial institution with stockholder equity of approximately $994 million and total assets of $10.81 billion. Its service network is now in New York, Massachusetts, Washington State and Texas. Overseas it operates in Taipei, Shanghai, and Hong Kong. The bank’s website states that it can handle payables and receivables in foreign currency, transfers funds internationally and offers investments in foreign currency including specialized services to help manage foreign exchange exposure. 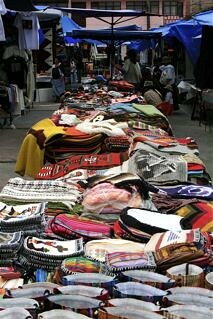 They offer spot and forward currency contracts and claim that their exchange rates are favorable. Until next message, good global investing to you. The first ice appeared on our North Carolina pond this week. 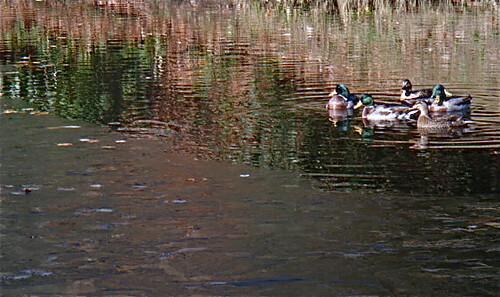 Our mallards are complaining! Brrrr! 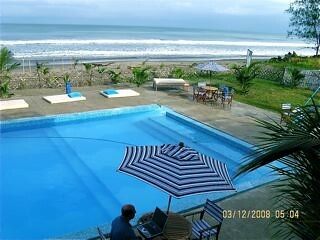 Merri and I would rather work and play in the Ecuador sun than fight the ice and snow. 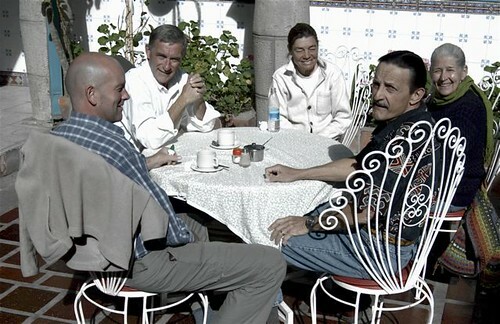 This is how to enjoy a winter’s breakfast, in our sunny court yard, at El Meson de las Flores with friends. 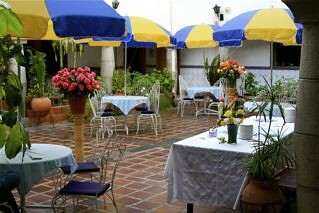 Join us at a course in Cotacachi this winter. You can even work online (as my friend Steve is doing above) while on the coast.